The $5.7 billion now seems to be a magic number of President Trump. It has become synonymous to border security and Democrats will never give him the amount to build a US-Mexico border wall. The president in fact should have focused more on the policies to keep USA safe and not inclined too much on a particular number. This could have saved the country from partial government shutdown. Overcoming the magic number henceforth would save from another federal shutdown. Last year, in February he refused to support a bipartisan compromise that would have given him $25 billion over the period of ten years. In December 2018 Trump rejected to sign spending bill and it led to shutdown. He kept up his facade of pride, but of course the lawmakers didn’t. A relief came about more than a month later when he agreed to reopen the federal government for a short period that is to end Friday midnight. Trump to get $1.375 for the border wall even though White House certainly have not wanted this. With the approach of deadline lawmakers worked out a compromise Monday night to avert another partial government shutdown. 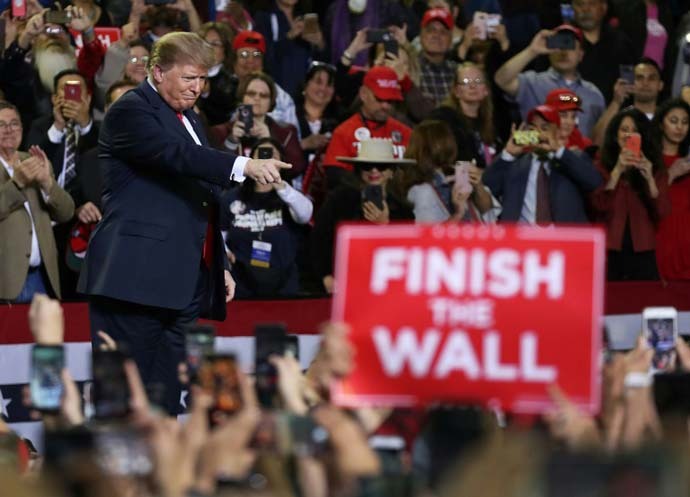 Trump to get $1.375 for the border wall even though White House certainly have not wanted this. Trump should accept it. He should compromise. He should hold himself as a leader. He should now talk how he is building the US-Mexico wall. But he needs to stop talking about $5.7 billion and show the world how well the new border works. Dussehra turns into a nightmare for Amritsar on this festive occasion!